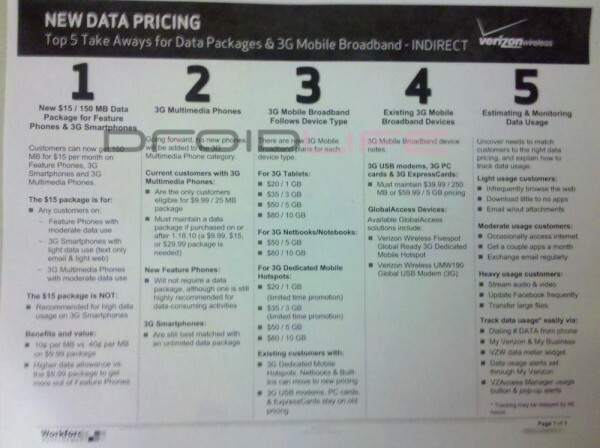 Wanting to know every single detail on the new tiered 3G data plans coming to Verizon? We’ve got you covered. 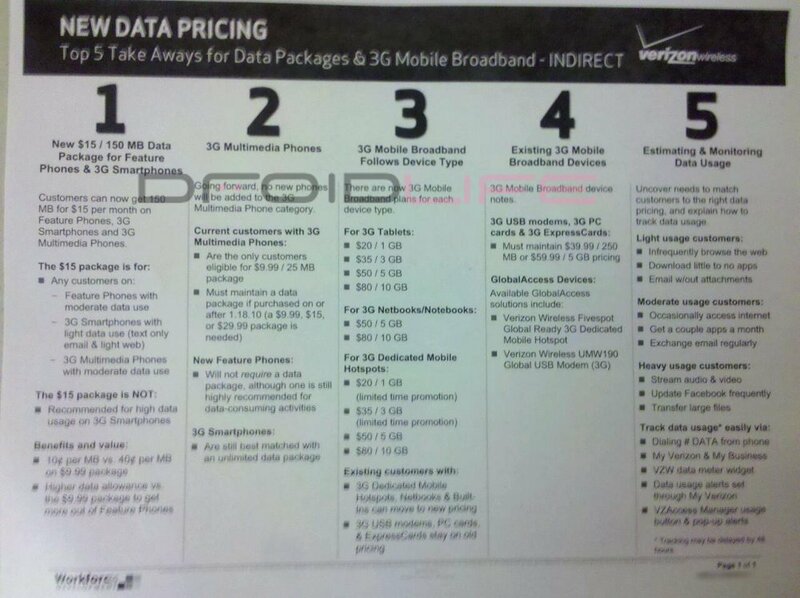 As was rumored earlier in the week, the new $15/150MB tier is expected to go live by October 28th and while Verizon documents no longer feature dates for the most part, the 28th and 29th have been brought up more than once, so we’re expecting it any day. I’ve always been a fan of tiered pricing because not all consumers need or want unlimited data and VZW seems to have at least taken a much smoother first step into these waters than AT&T did. While 150MB might not even be enough for the average email user, it at least gives us another option. Oh and 3G tablets are also touched on. Thoughts on the new tier?